The thing I’m asked most often (right after “What do you mean you do this for free?”) is “How do you choose the artists who play?” There’s no single answer — I’m part of a great online network for show hosts, I know a lot of great artists who recommend people they admire, I keep an ear out for sounds and stories that interest me. But above all, I just wait to be knocked over. I never know when it’s going to happen but I know exactly when it does. So when I clicked through some industry email and heard Travis Meadows for the first time, I was floored immediately. 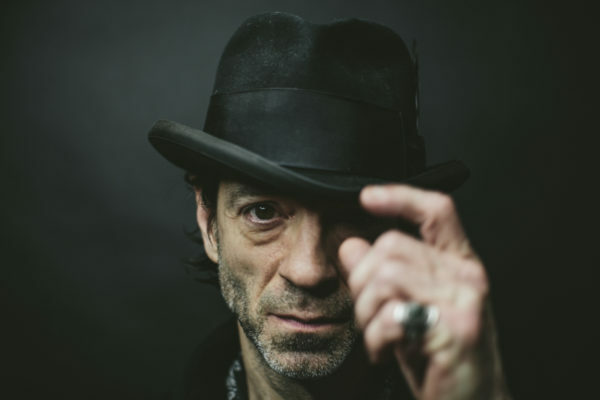 At 52, Travis Meadows has a life story those lines only begin to hint at. But it’s the way he has woven his shape-shifting reality and perspectives on others that struck me so hard. And I have to admit that I’m very late to this game. Travis is a well-known Nashville collaborator and his songwriting has been chart-topping for country artists like Eric Church and Dierks Bentley, but it’s hard to imagine that any other voice could capture the hard-fought truths that emerge – summoned, compelled – from his own. TRAVIS SOUNDS GREAT! HOW DO I HEAR HIM? The show will be Friday, August 10th with doors opening at 7pm and music starting at 7:30. All tickets are $20, general admission, with 100% of sales going to the artist, as always. You can go ahead and get them now. We’ll be at 11 W. Huling in Downtown Memphis. We don’t serve anything harder than LaCroix; BYOB is allowed but you gotta act right.